For the average homeowner, there are four important components of the hot water heater: the water that enters and exits the tank; the thermostat dial that controls the temperature; the energy--gas or electric--that creates heat, and the temperature and pressure valve. For the average homeowner, there are four important components of the hot water heater: the water that enters and exits the tank; the thermostat dial that controls the temperature; the energy--gas or electric--that creates heat, and the temperature and pressure valve. Called the T&P valve or the overflow valve, this device regulates the pressure within the tank, preventing explosions by allowing steam to escape. When problems arise with the water heater, the temperature and pressure valve is the first place to look. Hot water heaters are equipped with temperature and pressure valves at the top or side of the tank. Normal operation of the tank will result in the release of steam or water. If the tank did not release water vapor from time to time, the steam pressure built up within the tank would cause the tank to rupture. Does the Valve Leak Constantly? The US. Department of Energy recommends that the thermostat of a hot water heater be kept at 120 degrees Fahrenheit. When the thermostat is set too high, the tank creates hotter water. This water creates more steam and pressure buildup in the tank. Keeping the thermostat at 120 degrees will prevent this from occurring. 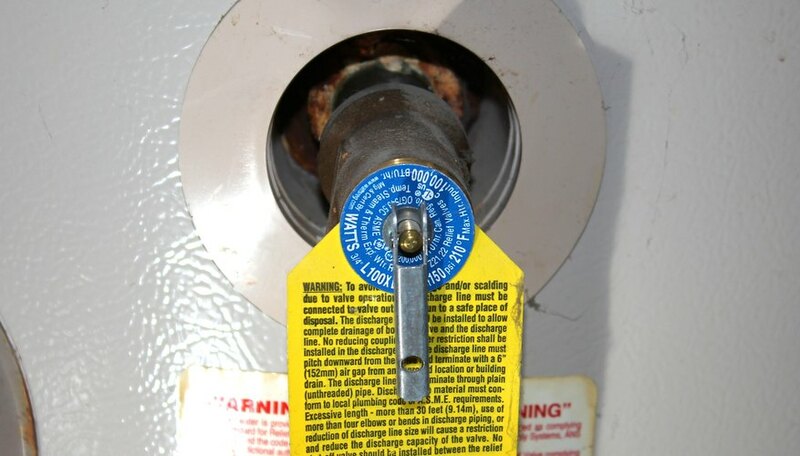 If the temperature is kept at 120 degrees and you have a leak, check the valve's spigot. An obstruction could hold the valve open. Does the Valve Not Expel Water? There could be two explanations for this happening. First, be sure that the thermostat is set high enough to cause steam. Some people set the thermostats of water heaters too low, resulting in tepid water and a less-efficient heater. Second, be sure that the valve is not clogged. Scale or obstructions in the valve spigot could block the valve and prevent it from expelling any steam or water. 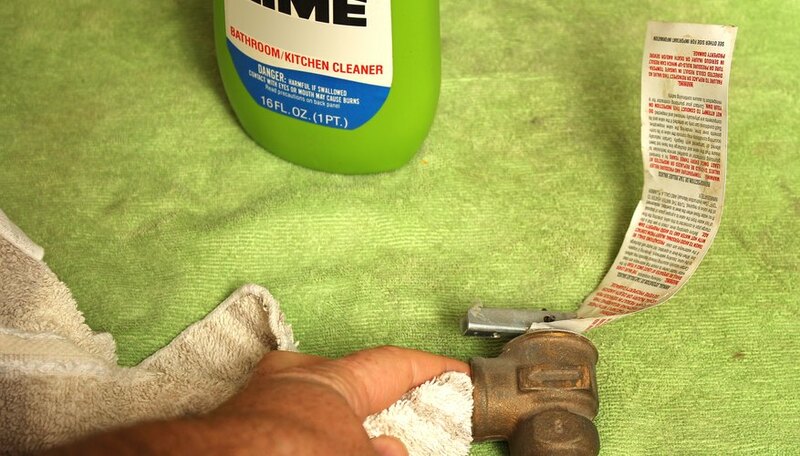 Clear the valve by hand or using a lime- or calcium-removing solution.